Gift-buying is always hard, but when it comes to getting something for the supernatural creature in your life, it can be a nightmare. Finding the perfect present, that won’t cause a monstrous rampage, can create a lot of pressure. Here are some gifts to please the most surly of supernatural beings. Monster packs make fun gifts for any witch, vampire, or spirit. Sure they may be hundreds of years old, but have your witch companions taken the time to revisit their past? The Salem Witch Trial pack is a great opportunity to re-experience a time when people couldn’t stop talking about witches. Experience 17th century America with this collection of Salem Witch Trial goods. For $9.50 this pack includes an illustrated reprint of the 1693 books “Wonders of the Invisible World” and “A Further Account of the Tryals of the New-England Witches,” historically significant works on the Salem Witch Trials by father-and-son Puritan ministers Increase and Cotton Mather. 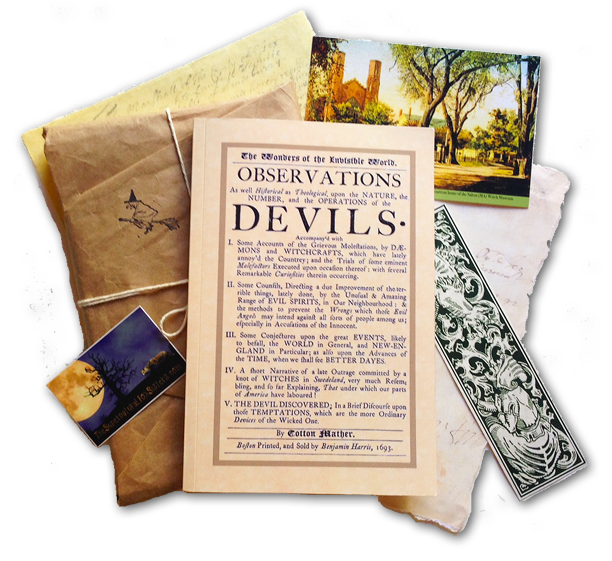 The pack also includes full-color postcard of Salem, Mass., parchment bookmark, and assorted facsimile witch trial documents. The kit comes prewrapped in paper and string, ready for gift-giving. The Salem Witch Trial pack will light a fire under any history loving witch in your life. BRAINS! Securing fresh brains for your zombie pals isn’t always easy. Not everyone works at the morgue, after all. 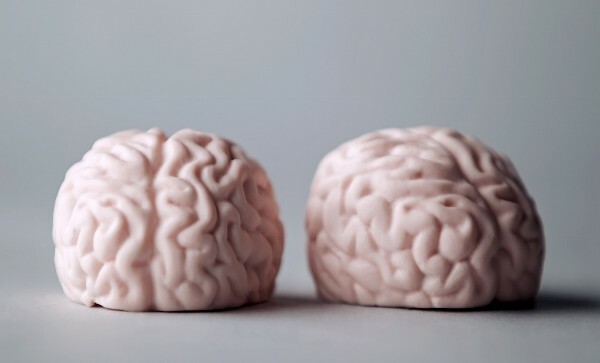 When human flesh isn’t available, a Brain Truffle from The Truffle Cottage can help satisfy those intense cravings. Brain Truffles make a great gift because they’re a very inexpensive $5 each, which is way cheaper than buying actual brains. Any zombie would be thrilled to bite into this oozing strawberry and cream Brain Truffle. If nothing else, it can serve as good distraction when the reanimated dead decide to pay you a visit. After all, who doesn’t want to eat brains? The Walking Dead pure milk chocolates also make a nice treat. Each $10 box contains 1 body, 2 arms, 2 legs, 2 heads, and a logo. Why the extra head? Don’t ask. The Truffle Cottage also has Supernatural Sam and Dean truffles for the hunter in your life, as well as Doctor Who TARDIS vs Dalek dark truffles to serve during the invasion of the earth. Chocolate is a great way to satiate any creature. Who doesn’t want to look up at the moon every night, but without the nasty bugs from outside crawling all over you? Well now is your chance, because thanks to an Indiegogo campaign, you can gaze at the moon insect-free. Added bonus— enjoying the artificial moonlight without the overwhelming impulse to transform. Luna Lamps are non-toxic latex and fiberglass spheres that are “crashworthy,” whatever that means. You can adjust the brightness of your Luna Moon to fit any individual’s mood, lighting needs, and stage of transfiguration. You can choose from different sizes, but some sizes have already been completely claimed. Growly face! You can pre-order now and then everyone will be surprised when the Luna Moon eventually shows up in mid-2016. Waiting can be fun. Planetary satellite replicas are not your everyday gift, so be prepared to pay between $75 and and $875. If it’s a gift for yourself —well, you deserve it. If it’s a gift for a friend, choose carefully. If you have any fiendish friends who cannot bear the light of a true full moon, this could be the perfect present. If you’re trying to chase down a gift for a cryptid, ghost, or banshee, check out the Part 2 of this series. Tell us about your monster gift ideas in the comments.